Gift Giving: Never buy a last minute gift again! Hi everyone! 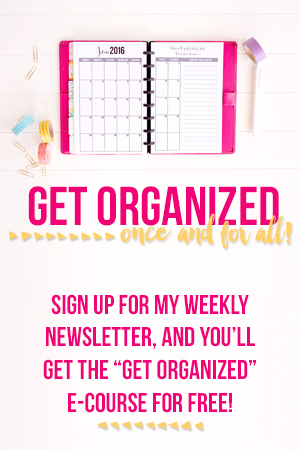 It’s Larisa from the I Heart Planners team! I have a bit of a confession to make: I’m really bad at planning for events. I love planning my days, weeks, months, bills, meals, pretty much everything…except for events. I’m the person you dread inviting because I never RSVP on time! Lately, I’ve gotten better at adding events to my calendar with their locations the moment I get the invite, but sometimes I wait until literally the morning of to get this handled! (EEEK!) And the one thing I am awful at? Getting enough cards and gifts for the events I’m invited to. 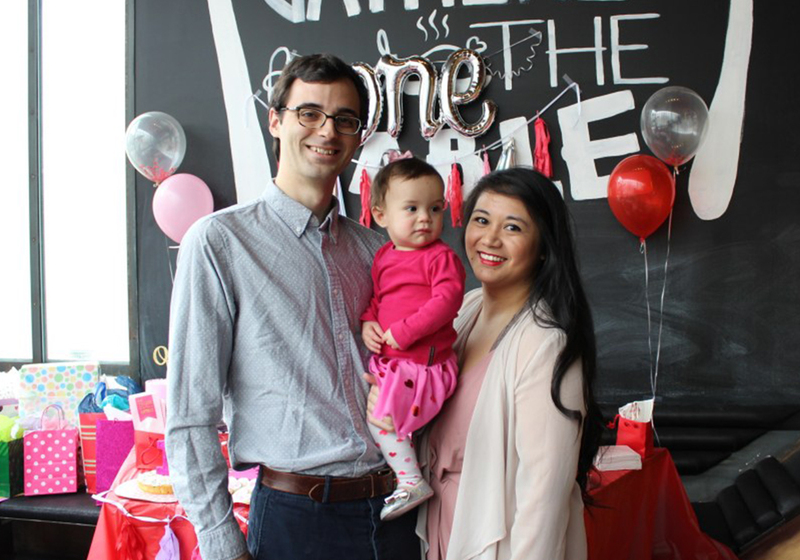 I come from a fairly large family, and my husband comes from a VERY large family, so between the two of us, there’s always at least two big events every month. During the summer there are always more get-togethers, and in the fall there is no shortage of back-to-school events or fall parties. Not to mention weddings, bridal showers, and of course birthdays! 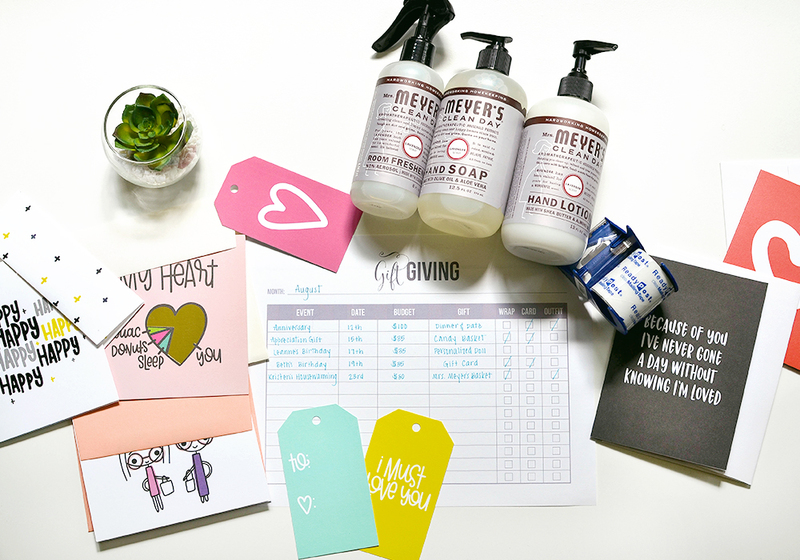 Once I started becoming more serious about planning my personal life instead of just my business life, I realized how important planning for gift giving really was. I need to factor in all the big events in order to be able to budget properly and to be able to give a thoughtful gift. And of course, I need to be able to plan an appropriate outfit! 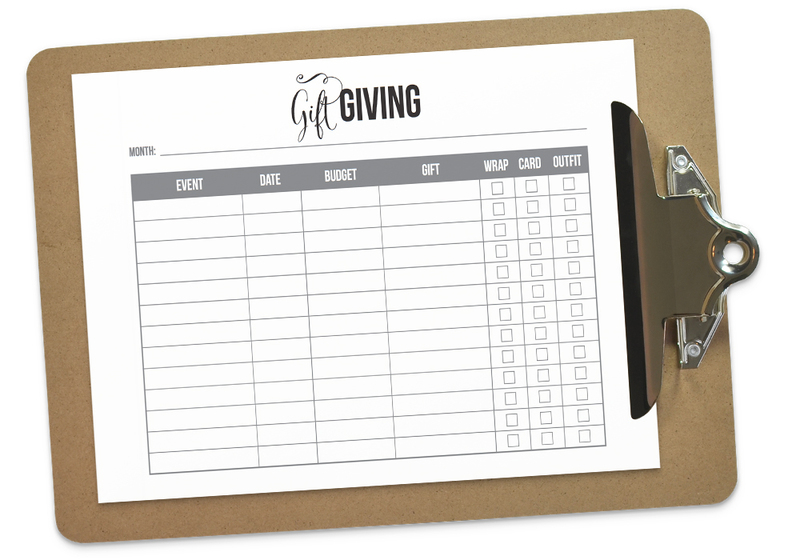 I worked with our amazing designer to bring this printable to life for anyone like me: the rushed, unplanned gift giver. We can change, I promise! 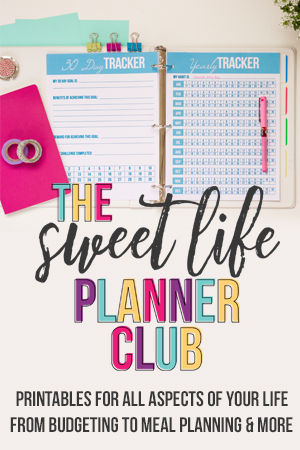 At the end of every month, I look at my Google calendar and my monthly bonus pack from the Sweet Life Planner Club at all the big events I have coming up. Bridal showers, birthdays, and anything that requires showing up with a card and a gift. I write them down on this handy new list and note the budget and if I already have something in mind. Then I’ll head to Amazon to see if there is anything thoughtful that I can give. If I know there is something special I want to grab, I’ll schedule in a time to head to the mall or a specialty store in the city. And when I’m making my weekly grocery run the first week of the month, I always stop in the card aisle and grab the cards I need! Since I recently got married and had a baby, I’m lucky enough that I have a lot of leftover gift bags that can easily be reused! We also have an extraordinary amount of tissue paper leftover from all our wedding favors. I only make sure to grab a gift bag if we’re definitely out, but luckily that has not happened yet! 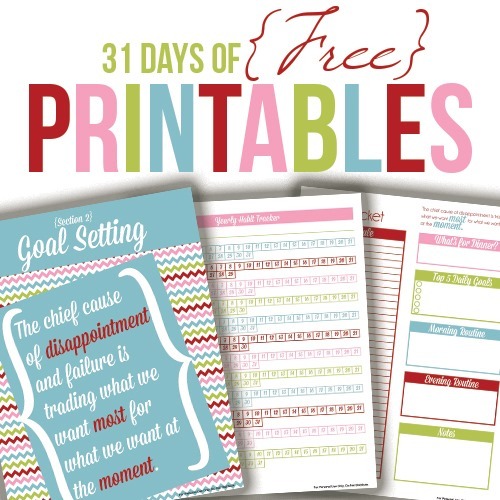 I’m so grateful for this printable and how it helps me organize my life. We wanted to share this great printable with you! Click below to download this Gift Giving printable and never purchase a last-minute gift again! With so many friends getting engaged and a big family with lots of birthdays to celebrate, I look forward to better planning out more meaningful gifts! I hope this helps you too! Happy celebrating! I love this idea! I’m trying to download the gift giving printable, but I keep getting the screen that requires subscribing. I’m already subscribed to the emails but it still keeps popping up and won’t go to the printable. Any ideas on what to do?? Thanks! HI, go ahead and put in your email and it will be sent to you. It’s okay if you already get our emails – it won’t sign you up twice. It will just send you the freeibe. Thank you for the planner. I found your site via a link from another blog. I am excited to go thru. your blog. I did exactly what you did recently when I was invited to a last minute party and had to settle for the best gift card option Target had to offered.